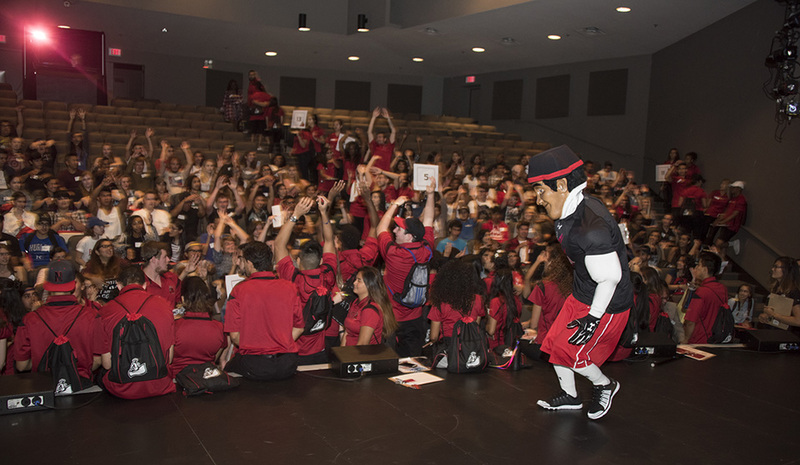 Students lined up as early as 8 a.m. with their new, bright red Matador backpacks in hand, receiving warm welcomes from Matty the Matador and the California State University, Northridge band as they awaited the start of their day. 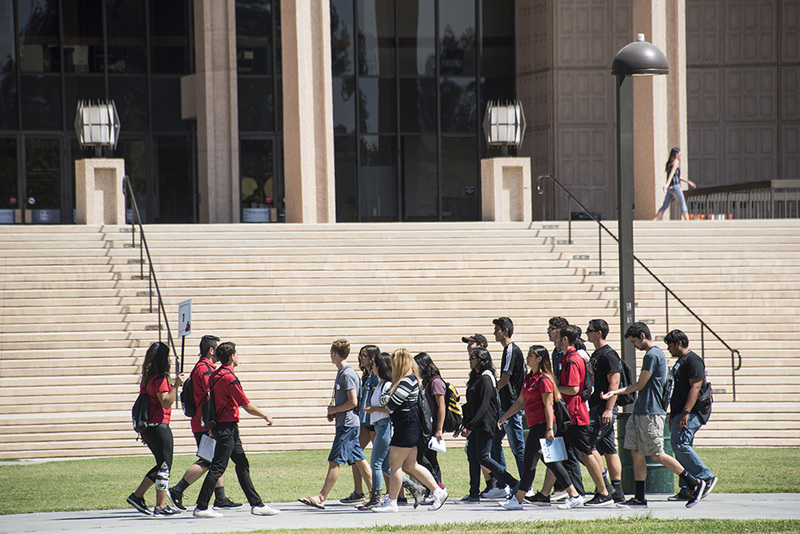 The new students would become part of the Matador family as soon as the day was over, feeling more comfortable and at ease knowing they could now call CSUN home. 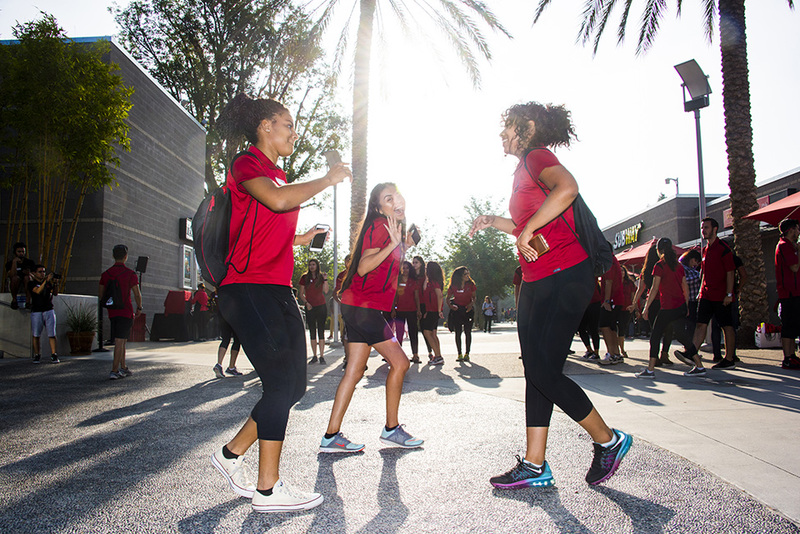 Week one of New Student Orientation (NSO) kicked off Aug. 3 with transfer students leaving their comfort zones of community college and finding their place at CSUN. “New Student Orientation is such an inclusive group. Everyone is so happy and welcoming,” said Jodie Rink, a sophomore marketing major and first-time NSO leader. From icebreakers to introductions and campus tours, transfer students and freshmen at NSO started to feel at home and lose their feelings of nervousness and uncertainty. 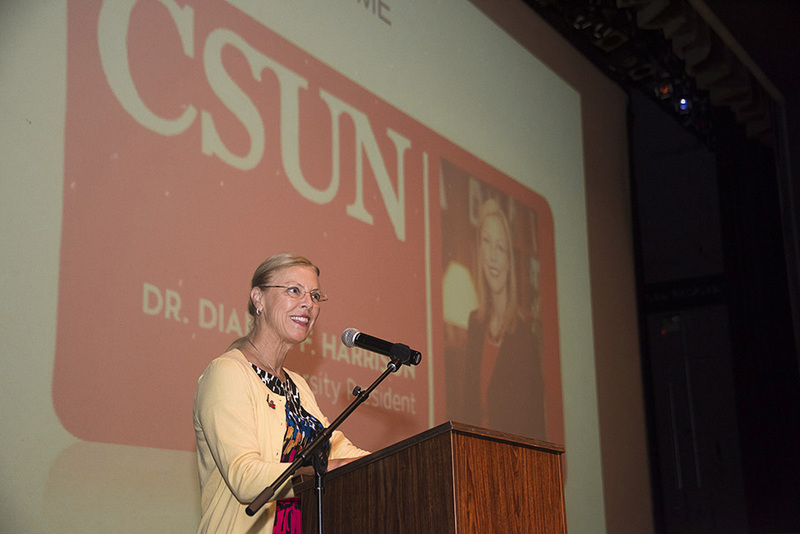 Leaders were there to answer questions, provide guidance and show incoming students CSUN’s hospitality. “I really like how diverse it is here, and I really love how everything is fairly new,” said transfer student and radiologic sciencies major Gina Alvarez. 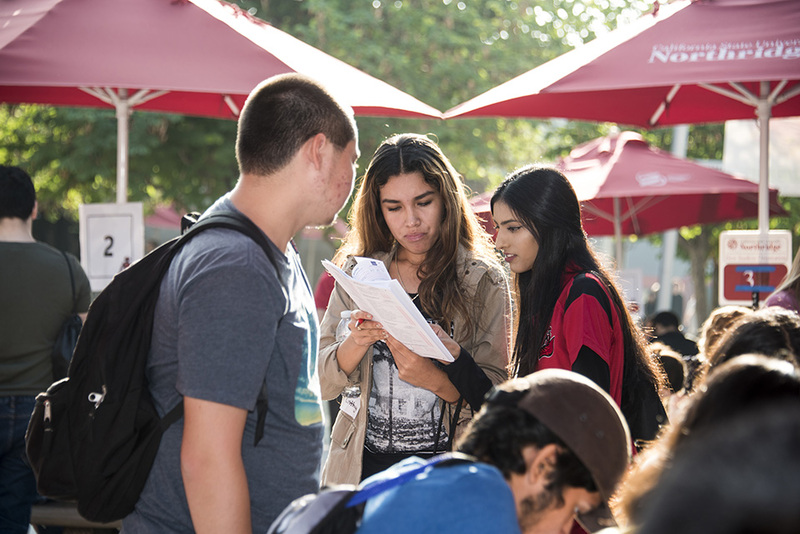 Transfer students started their day with complimentary donuts and juice before finding their groups and meeting new friends, while they waited for the CSUN campus tour to begin. Week two of orientation began Aug. 9 at the University Student Union, where recent high school graduates looked excited and nervous as they waited to see what their day would be like. 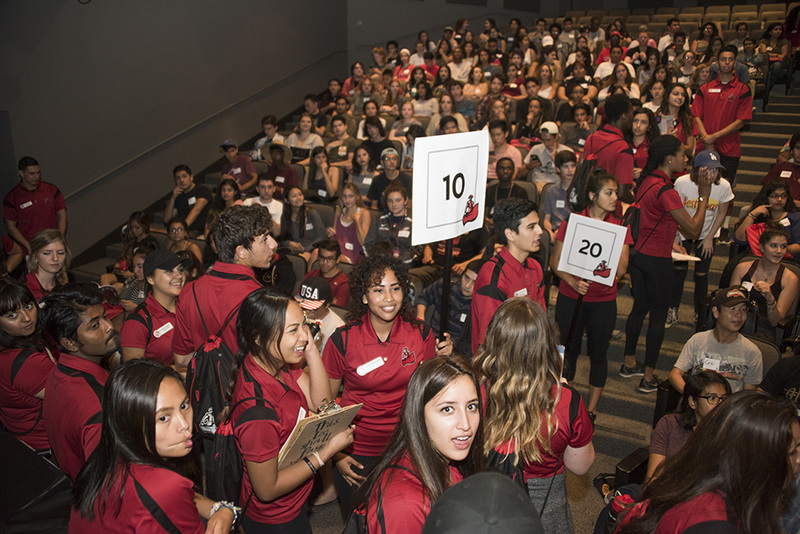 While icebreakers, introductions and campus tours were aspects of NSO, incoming CSUN freshmen experienced something only available to them. TAKE, an original CSUN production in its 28th year showcasing all aspects of life as a freshman, was performed by CSUN students for incoming students at NSO to help put them at ease about campus life. After the performance, cast members came out to talk to individual groups about their upcoming first year of college. 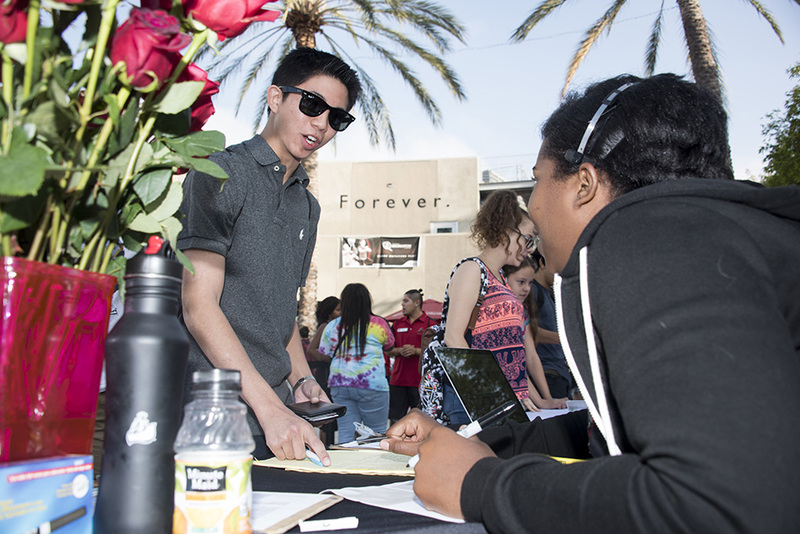 A service fair provided the incoming students with an overview of the services and activities that will be at their fingertips as Matadors. “Before, I didn’t really know much about CSUN at all, but once I got here I learned CSUN offers a lot,” said Sam Jimenez, a freshman who plans to study communication disorders. Both orientations provided transfer students and incoming freshmen with vital information, as they learned about the place where they will grow over the next few years.